Do you think he watches UFC fights, or he don't know what is currently going on in mma?, at least LHW and HW? I doubt it, most main cards start at 5 am in Russia. No. Fedor has never even heard of the UFC. In Russia, UFC watches Fedor. He probably watches red devil guys fight. Other than that, idk. Neither does anyone else in here. Pretty sure Fedor does watch the UFC. Maybe not entire cards, but probably fights/fighters that interest him. I remember a while back he was interviewed about Cain vs JDS. Too busy eating caviar with the king of swag, Putin. I believe there are fighters he likes to watch fight people like Cain Velasquez he said as much. I believe could have interest in Daniel Cormier because of his size and his run in two organizations. For fighters its hard to completely walk away from a sport so it would not be surprising to see him watching a few fighters. I think he is very picky and he also has mentioned fights that Josh Barrnett has fought he watched. So its very likely he has seen Daniel Cormier fight on a few times. I believe he is still pretty busy he has been to Holland a few times to promote exercise equipment and gyms. Cain especially has his interest because of Cain style of fighting he talked about Cain a few times. 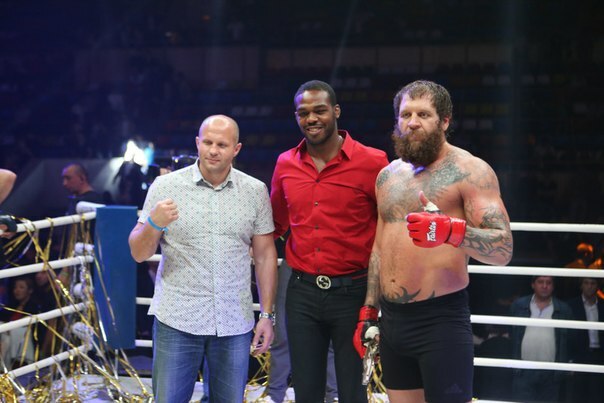 Jon Jones he has also mentioned and even has met him twice once in Russia and once at an event in Croatia or some European Country? He also met Gus at that same event. 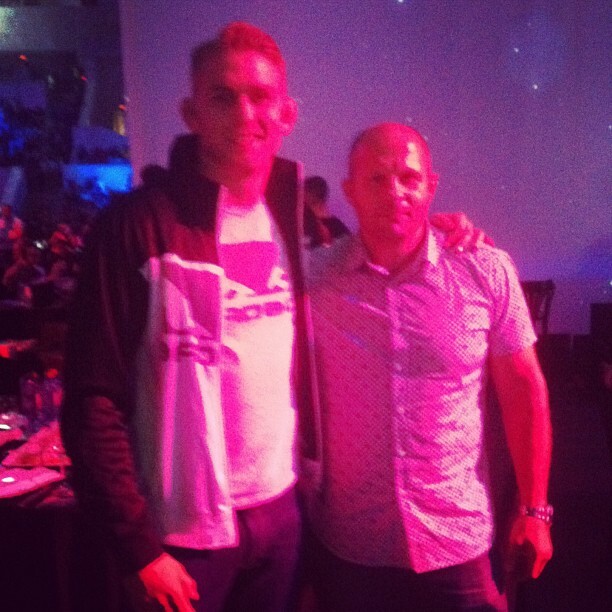 From what I hear Jon went full fanboy meeting Fedor. 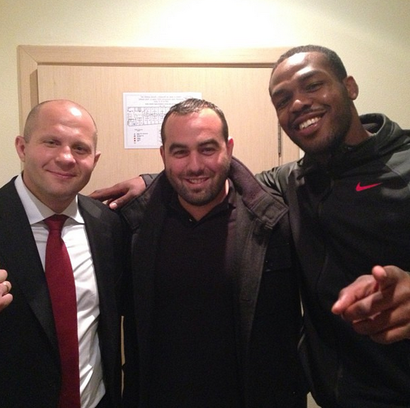 Cain and Daniel in Russia no Fedor visit that I know of at that seminar? I honestly believed Fedor could've avenge all three of his losses hypothetically. And could've went on a HW run in UFC. Other than Cain, I was confident he matched up well with anyone. Or fight at his true class LHW and take on Jones for the belt. He would easily be ranked number one contender perpetually or champ their. I mean Jones/Gus ^^^ dwarfs him for sake! Do you even have to buy the PPV in russia?